'Syria will comply with UN treaty' Jump to media player Syrian President Bashar al-Assad vows to abide by the UN resolution calling for the country's chemical weapons stockpile to be destroyed. 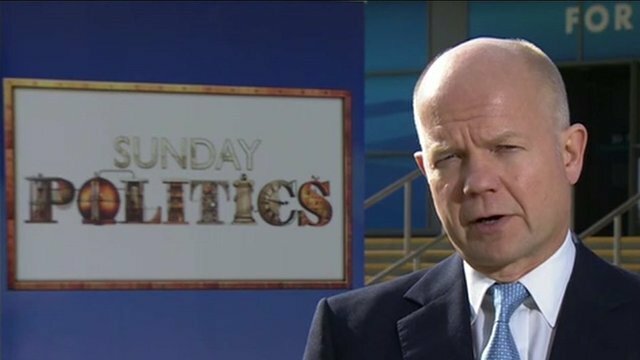 Hague: Iranian words 'very welcome' Jump to media player The British foreign secretary said the words from the new Iranian leadership were "very welcome" but it was the "actions that are going to count". 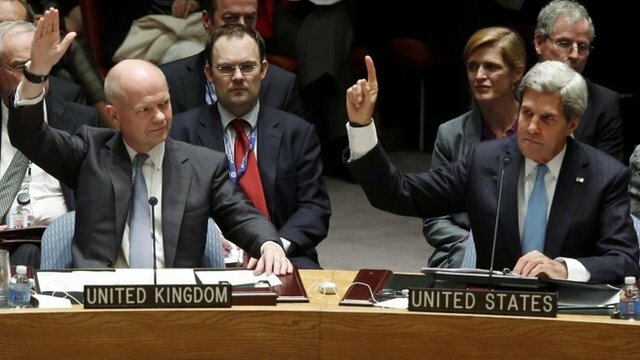 What does UN resolution on Syria mean? Jump to media player Weapons inspectors should have "unfettered access" in Syria, according to a new UN resolution. UN passes 'historic' Syria resolution Jump to media player The UN Security Council has passed a binding resolution setting out a plan of action for the destruction of Syria's chemical weapons. 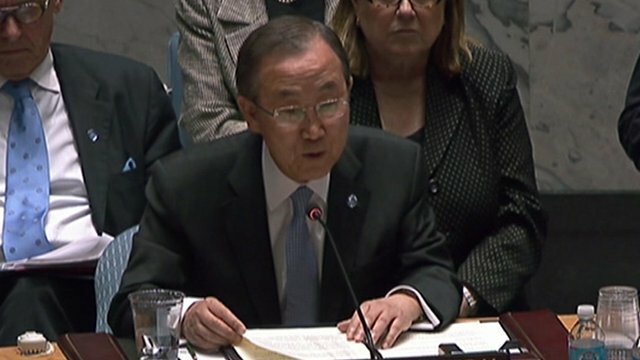 Ban Ki-moon: 'First hopeful news on Syria' Jump to media player The UN Security Council unanimously adopts a binding resolution on ridding Syria of chemical weapons, a move described by Secretary General Ban Ki-moon as "historic". Syria's president has vowed to abide by the UN resolution calling for the country's chemical weapons stockpile to be destroyed. Speaking to Italy's Rai News 24 TV, President Bashar al-Assad said his government approved of the Security Council plan. The UN deal breaks a two-and-a-half year deadlock in the UN over Syria, where fighting between government forces and rebels continues. He said: "Of course we have to comply. This is our history to comply with every treaty we sign."